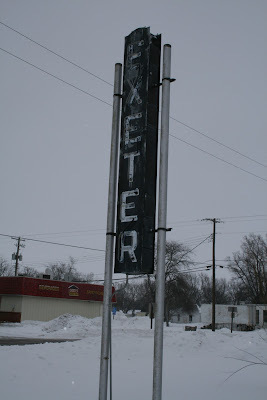 The Exeter Sign on Highway 6. 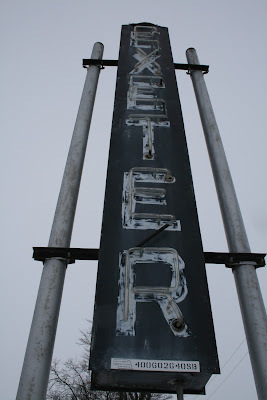 An upclose look at the deterioration of the neon Exeter sign. For almost eighty years the neon Exeter sign on the corner of Exeter Avenue and Highway 6 has greeted visitors to the community on and off. In the past few years it has literally become on and off and on again and almost always off again. 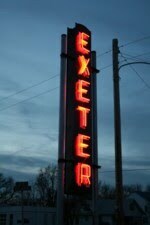 The Exeter Community Foundation hopes to do something to keep the sign from becoming a relic of the past. The last few years, the sign, despite maintenance and attention from both the Exeter Chamber of Commerce and the Village of Exeter, has only worked briefly after it was worked on. In the last year the sign has stopped working completely. 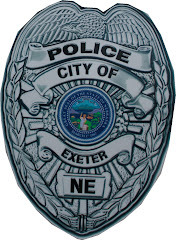 Page 86 of "They Called it Exeter" briefly mentions the neon sign in reference to a November 1931 newspaper article, "The neon sign will be erected on the highway on South Main Street. The village board voted to pay $375 if the Commercial Club would pay the remaining $100. The Club committee men present pledged to do that. The Iowa-Nebraska Light and Power company agreed to light the sign for $6.60 per month. A large representative of citizenry attended the meeting." 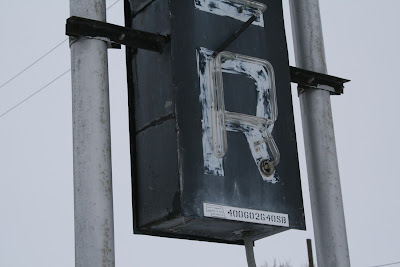 Originally the sign was located on the north side of the highway and moved to the south side when "Casey's" was built. Foundation member Judy Dinneen has a special connection to the landmark, "As a child and teenager I remember the neon sign; always there to welcome you home. The Exeter Area Community Foundation is excited to restore the sign as a welcome to our town." 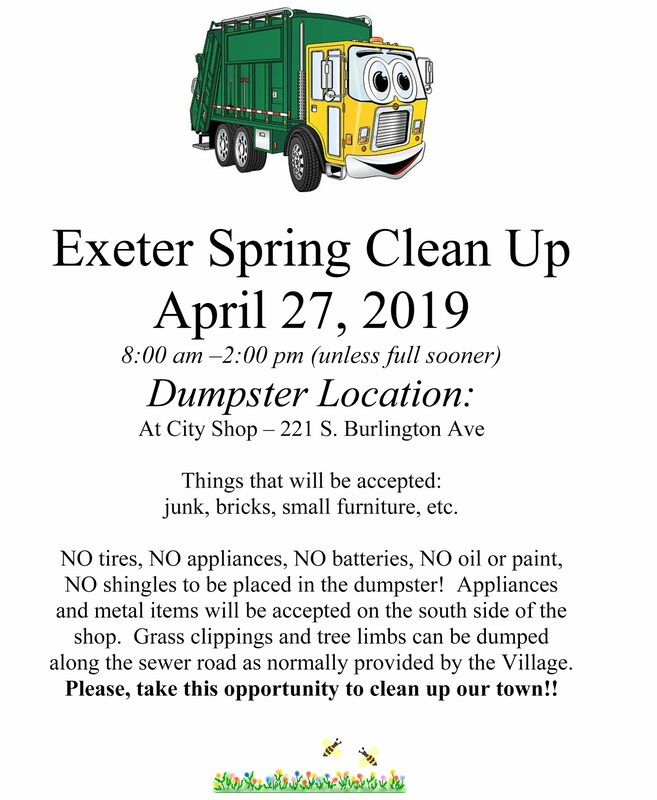 The Exeter Community Foundation has decided to use some of the interest from their endowment to "repaint it, put vinyl lettering instead of white paint behind the letters and to get it to where it looks like new again," according to Foundation board member Bob Mueller. The Foundation was looking for a project in Exeter and thought immediately of the sign, "I am an Exeter neon sign lover and have been ever since I was a kid. Some of the older members of the Board decided it was something that should be done," explained Mueller. The sign will be taken down in the next few weeks and transported to Lincoln where Nebraska Neon Sign Company will restore the sign to better than new. The Community Foundation hopes to have the sign completed and working again in the next month or two. 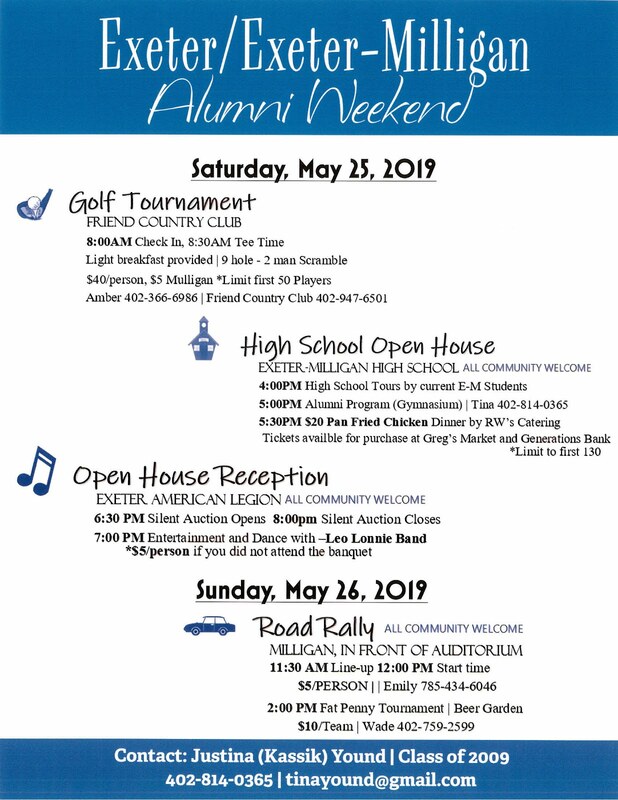 For more information on the project contact Bob Mueller, Alan Emshoff or Adam Erdkamp. The Foundation is always accepting your tax deductible donation. Very glad to hear this! This is a piece of history that is certainly worth restoring! Keep up the great work!